The Golden Glow design is best suited for couples with separate day and night celebrations. 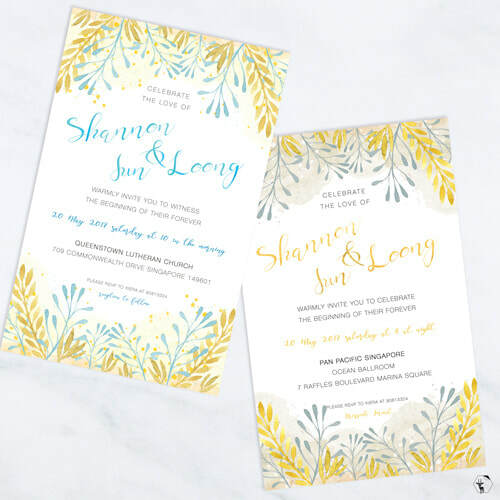 The glow from the joyous hearts will radiate through these invitation cards! Pick either the blue+gold; grey+gold; or both to create a matching set. The price reflected above is the base price for one design.